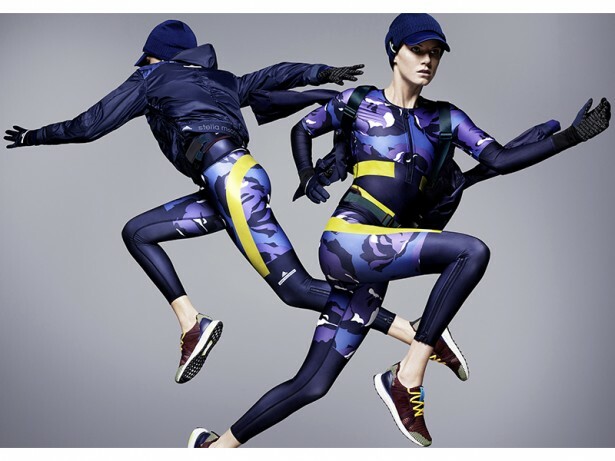 Marking its 10th Anniversary in 2015, adidas by Stella McCartney moves into Fall/Winter with a collection that celebrates a decade of ulimate performance and style enhanced by cutting-edge technology. Showcasing bold silhouettes with innovative texture combinations and intelligent layering, this season’s new collection seamlessly fuses form with function for an effective and inspiring work out. ‘Season after season we push ourselves to create pieces that feel and look great, using advanced technology to help athletes stay at the very top of their game. Over time women have become more and more focused on their fitness goals and are spending more time in workout clothes. This makes it even more important to provide function and style which challenges us to be continuously innovative in our approach. The Compression Onesie in the Yoga range perfectly exemplifies this combination. Celebrating the 10 year Anniversary of our collaboration is quite an achievement and we are looking forward with this new collection and the future.’ says Stella McCartney. The Fall/Winter 15 collection will be available from mid July 2015 at adidas owned stores and aleading global e-retailers, sports retailers and high-end department stores. It can also be found online at net-a-porter, www.adidas.com/stella and www.stellamccartney.com.